I think this video will blow you away! 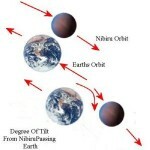 Illustration: Degree of tilt from NIbiru passing Earth. SOURCE churchofcriticalthinking.org. Greetings and Welcome to the Planet X Files! The equations that follow are real. The numbers have not been changed to protect the innocent. The consequences will be real. I’ve done my very best to keep it simple so anyone can follow along and understand. There are no “doomsday” predictions here, but this event will take place. Knowing this can save the life of you and yours. My personal advice should headlines start creeping around by 2010? By late 2012 = stay away from the coasts. . . . go to web site. 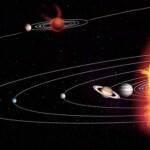 Countdown to 2012 – Planet X (Nibira) Conspiracy? It is now time to start a research archive for some of the rumored upcoming evens that, if true, could be the end of our civilization as we know it. As I have said many times before, I do not believe that the Mayan’s were predicting an “end of the world”. I will get into that with another report. 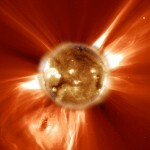 I do believe that its possible the Mayan’s saw something coming in the far-distant future of A.D 2012. What they saw gave them the date as to what would be the ending date to carve into the famous stone calendar. The logical answer as to why the calendar has an end-use date is not because man would no longer be around to read it, but because the Mayans would no longer need it. We always look to the logical answer first. That is the only logical answer unless it truly is the End Times. That … or the stone mason just ran out of space. It being the end times is hardly probable for several reasons, the discussion of which is not the subject of this posting. Besides if it is “End Times” then this research, website, you, and I will just be very small part of the Nil factor.in our quest. So for now, lets move on while we have time. The first question we must ask: “Why would they not need the calendar any longer? Once we understand the use of the calender that question can be answered with one sentence: “In order to follow a calendar you must have a way of referencing and separating the dates. We use the circling of the sun to measure day and night. But what if you lived underground? A calendar as a way to keep time is impossible to use in the inner realms. . . Research continues, stay tuned. (1) The coming Mayan Calender date 12/21/12. INSIDERS SECRET BONUS. Re-leave the tension of the coming planet X – watch the 1951 classic movie, When Worlds Collide in brilliant Technicolor and in its entirety (1hr 18-almost-19mins) and best of all … FREE! Right here, right now here on THEI. Did you like the movie? Wanna know more.